Sugam Pokharel (सुगम पोखरेल) is Nepalese pop singer, music composer, songwriter and radio jockey. Born and raised in Mangalbare, Morang district. He is one of the most renowned singers in Nepali music industry through his popular songs like mero sansar, pheri tyo din, samjhana ma na aau timi, school paathsala and many more. His father was government scribe in Department of Land Reform Management by profession but also knows as advocate in locality, his mother is an opthalmic assistant in Nepal Eye Hospital in Biratnagar. His sister is a web page designer, now based in austrilia and his elder brother Sunil Pokharel is veteran theater artist. From his earlier life he had an interest in music and used to sing in his school functon and gatherings. Sugam Pokhrel used to be praised for his voice which made him inspired to be a singer. 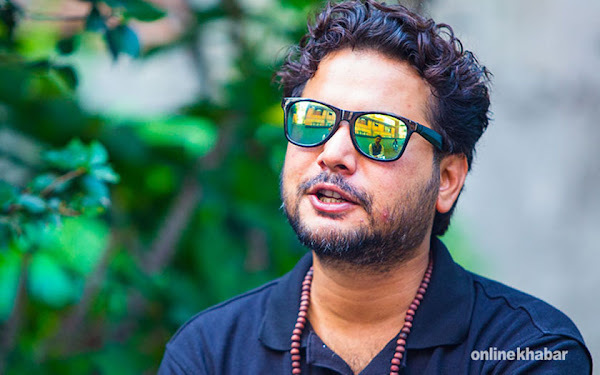 He initially had no intension of becoming singer, later he thought of recording a song when he met Sudin Pokharel in Kathmandu, who was also willing to record the song. They both recorded their first song “Ma maya garchhu” at NAAD Studio, Anamnagar in 1995, which was not good as expected. Again they gathered together to record another song after 4 months of their first release, title “Payera timilai yesto khusi chhu”, which was also their big failure. Although, facing with two biggest flops in their debut career, their paramount desire of recording hit song didn’t halt them to record their third song “Panchhi”. Third song also didn’t do well in the market and the collabration between Sugam and Sudin ended. In 1997, Sugam Pokharel started working as a librarian in Radio Sagarmatha, Nepal’s first community radio in the aftermath of three biggest flop in his early singing career with Sudin Pokharel. Later on he started hosting in musical program. After the big failure of three flop song he began his career with Solo song “Mero Sansaar”(2001). His initial songs like Feri tyo din, Kati din bitey, Maya to baato, Samhalinchha kahile mann, Timi ma bhanda, etc established himself as Pop Star. His albums are Highway, Sutra, Yatra, School Pathshala, Sugam Song Geet. Soon after his SLC (now SEE) from St. Joseph’s School at Tinpainee in Biratnagar. Sugam moved to Kathmandu for his higher education and completed I.A. and B.A. in Journalism from Ratna Rajya Campus (RR campus) and received his Master Degree from Tribhuvan University.